Cozy single story home. As you walk in, you are greeted at the foyer which takes you to 2 bedrooms and the main bathroom with quartz counter top. Down the hallway, you'll find the modern-style open kitchen with plenty of white cabinets and pantry for storage, built-in stainless steel appliances, quartz counter tops, large island with double sinks, and breakfast bar. Kitchen leads to family room and dining room with high ceilings. Spacious master bedroom with vaulted ceiling has room for a retreat area. Master bathroom has a large walk-in closet and quartz counter with dual sinks. Going towards the 2-car garage, there is a drop zone/mudroom and laundry room. Step outside to your private backyard with paver stone patio, grass area, dog run, and fire pit which a perfect setting to watch the firework show from Storm Stadium. Upgrades include: designer finishes (plantation shutters with window casings, mosaic backsplash, custom master walk-in shower), custom paint, laminate and tile floors, hardware for kitchen cabinets/drawers and under-the-cabinet lights in kitchen, pre-wired for pendant lights over kitchen island, and much more. Summerly is a master planned community that features 2 parks with kid's splash zone and fire pit, junior Olympic pool, resort pool, clubhouse, and half basketball court! Located across the street from Storm Stadium, 18 hole golf course, and is very close to shopping, restaurants, entertainment, and 15 FWY! Property to be sold "as-is" with no repairs. 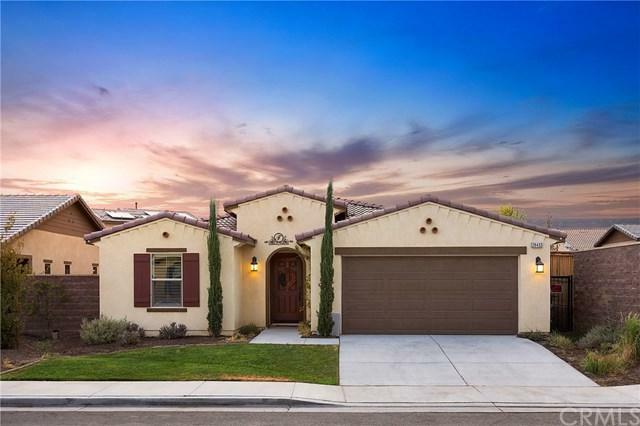 Sold by Robert Matilla of Robert Cole Properties.